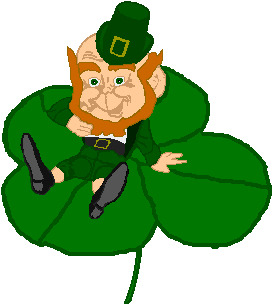 Everyone is Irish today. But some of us really are. It's obvious in some ways.... the red hair??? Ok, it's a little enhanced, but, I am kinda old, and white- thanks to my grandmother- who was a total white head before age 30. And I don't mean zits- I mean a head of white hair. But I do have some Irish blood cursing through my veins! And, I do have that lovely Irish flush to my face, and no, I'm not a drunk. But, I do have that ruddy Irish washer woman look to my sans- make-up face. Lovely. NOT. Anyway, I've been to Ireland, and highly recommend it- it truly is a beautiful country- a sea of green. And such a green. We went there a few years back, with our 'traveling' friends, well, really they are old, dear friends, who we happen to travel with really well, among other fun activities. We had a wonderful time. We rented a car and set off, driving about in Ireland, landing where we may, and partaking of the local culture. If memory serves me right, they drank 42 pints of Guinness throughout the week. EACH. I am not much of an ale/beer person, so I stuck to Jameson Whiskey. NO, I did not match them drink for drink. Anyway, some interesting highlights.... we hit the Waterford Crystal place. Got some treasures there. We all LOVED Dingle Peninsula, stopped by Cobh, the last stop of the Titanic. Went to the Cliffs of Moher... WOW. Mark picked out a lovely vacation property on the way there... as did I. Once again, vastly different. We stayed in delightful B&B's, enjoying the local culture. I refrained from trying the nasty looking pudding at breakfast. Thankfully so, as it was indeed Blood pudding....just the name makes me gag. We were wowed by the disappearing tide, and that wasn't alcohol induced. It was real!! There, with the boats happily floating in the harbor, only to disappear, leaving the boats high and dry!! Weird! Ireland. A lovely destination. Go there! Beautiful pics!!! Sounded like an amazing trip!